2WD: only the front wheels power the vehicle. Under normal driving conditions this optimises your consumption. 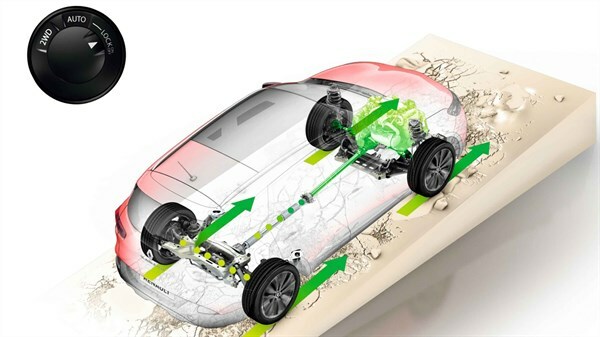 Auto: the system automatically adjusts the torque distribution and adapts the transmission of power between each of the front and rear wheels. This delivers optimal traction and safety. Lock: a 50/50 split between the front and rear wheels is maintained below 40 km/h on loose surfaces (earth, sand, mud, snow). Two-Wheel Drive Extended Grip transmission. In combination with Mud& Snow tyres, Extended Grip enhances wheel power and spin management in two-wheel drive. The system is available with all engine configurations. * Four-Wheel Drive transmission is available with the Energy dCi 130 engine . 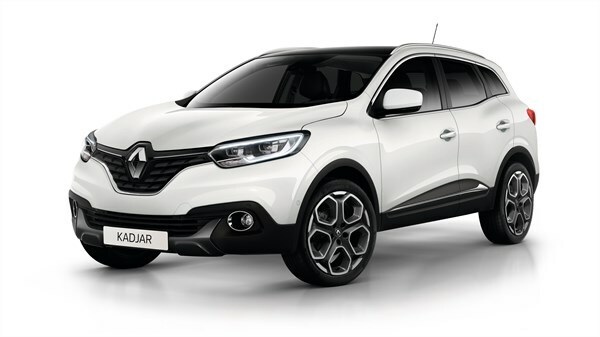 Offering spaciousness, intelligent modularity and storage capacity, the Renault Kadjar offers a wealth of qualities. 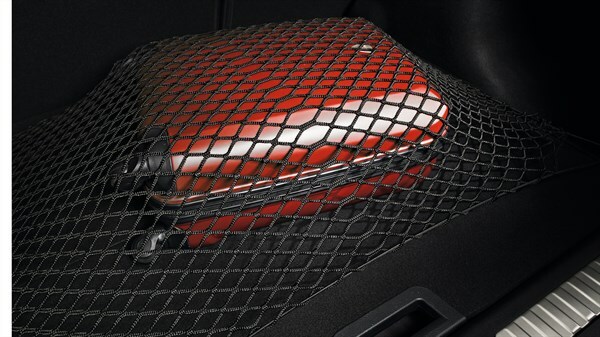 To push the boundaries, it includes the Easy Break system, which features handles in the boot to unlock and automatically fold down the 1/3-2/3 rear bench seat. The two positions of the boot floor allow you to choose between a high position that forms a completely flat floor and a low position providing a load volume of 527 litres. 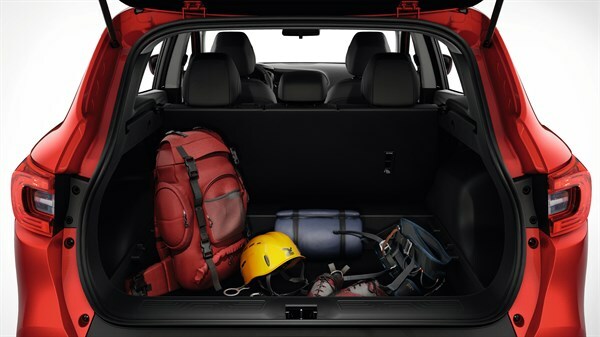 With the trunk floor lowered and the folded rear seats, you can fit up to 527L in the trunk of your Renault Kadjar. It's the best on the crossover market! With its convenient form, easily load everything you need to escape to unknown lands. 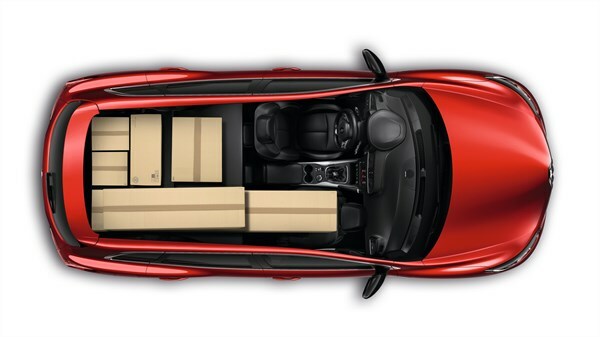 Vast, the trunk of Renault KADJAR is also flexible. It can be compartmentalized in 2 or 3 spaces. Well set, your small objects are protected. Ideal to organize your loading! 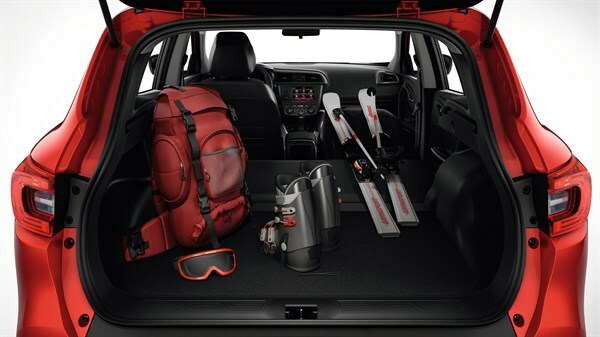 Order your life on board thanks to the 30L of clever storage spaces in the interior of Renault KADJAR. Enjoy! Renault thought of everything to simplify your life. 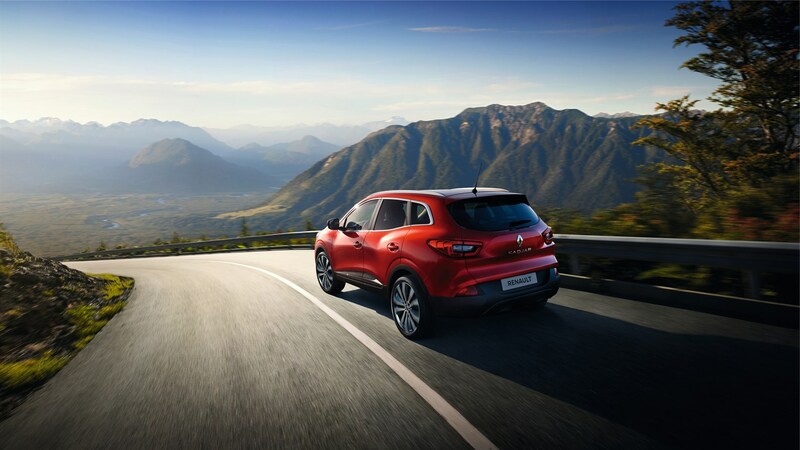 Live all your passions with the Renault KADJAR! Easily transport your snowboard or surfboard. With the trunk floor in its high position and the rear seat folded down, you benefit from a flat floor and an exceptional loading volume. 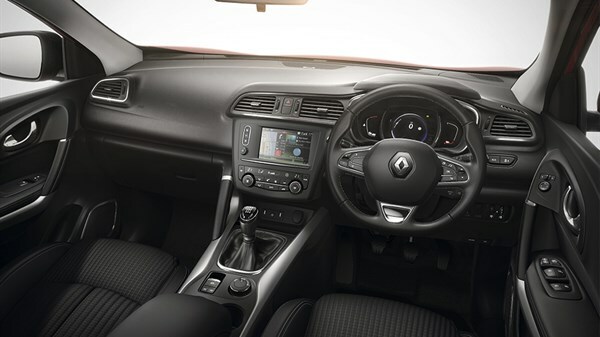 When the front passenger seat is also folded down, the flat floor extends even further to the dashboard, giving you a loading length of up to 2.5m! Need even more loading capacity? Install a trailer in a blink of an eye. Hidden under the rear bumper and, therefore, completely invisible when not in use, the Renault KADJAR hitch is always at hand. To activate it, nothing more simple! Simply press the discreet handle in the trunk. Let yourself be seduced! Harmony of colors, choice of materials, attention to detail. 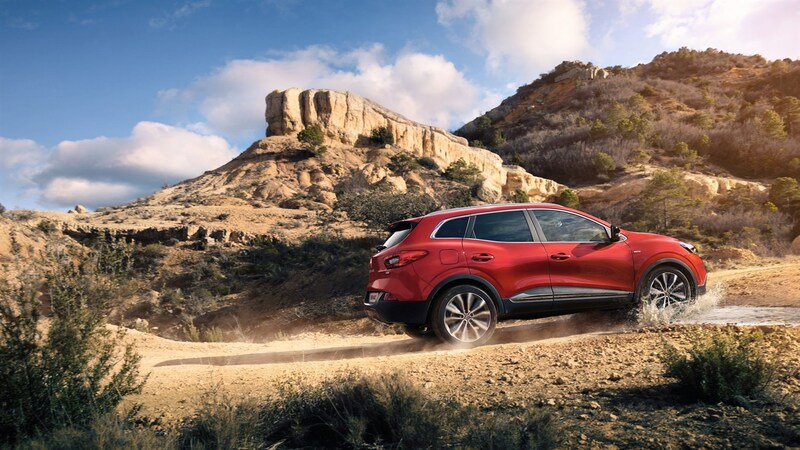 Renault KADJAR is distinguished by its dimension, both sporty and refined. Enjoy the soft touch of the dashboard, the stitching of the leather-wrapped handles and the chrome strapping of the air vents. Renault KADJAR evokes elegance and distinction in everything. 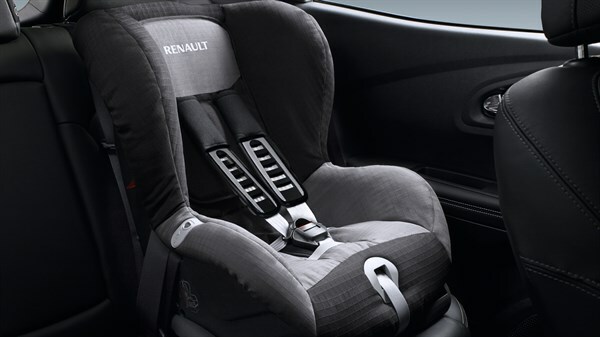 Designed in a sporty way, Renault has particularly taken care of the seats and their comfort. Fitted with dual density foam, they offer both cosiness and firm support. With their slightly inclined seat, you get even more sustenance. Le t the sun in your daily life ! 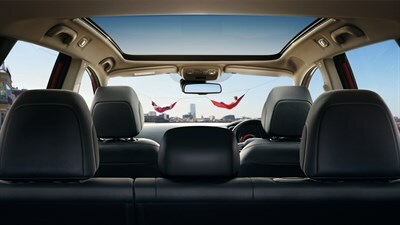 The Renault KADJAR has a panoramic sunroof of 1,4m². 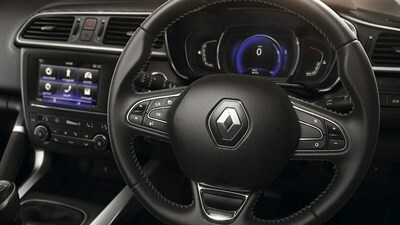 Multifunction, Renault KADJAR's 3-spoke steering wheel has a sporty look and updated ergonomics for optimized driving pleasure. Tight spots have never been so easy to handle as with Easy Park Assist. The system assesses the available space and defines the trajectory. Let it take control of the steering for hassle-free parking. 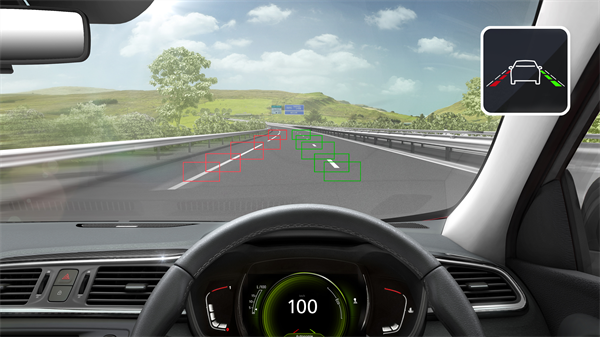 Adapt your driving according to the signaling data collected by the camera. 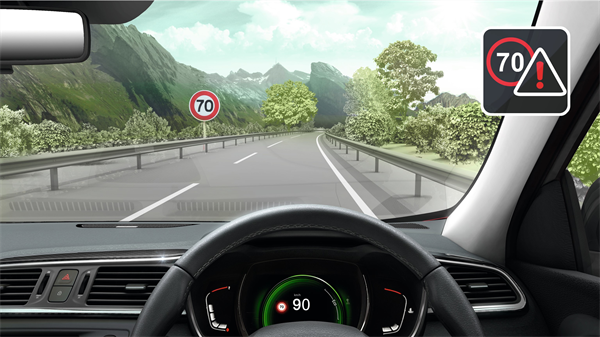 If you exceed the speed limit, a visual alert appears on your dashboard. 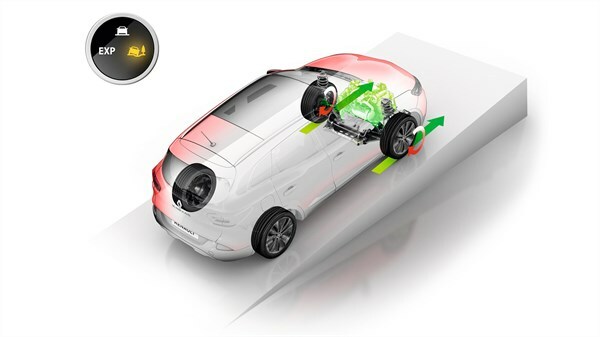 In addition to the full Pure Vision LED lights, Renault Kadjar has fog lights with a turning adaptation system for better lateral visibility. It activates when you turn on the turning signal or when you turn your steering wheel at a speed below 40km/h. 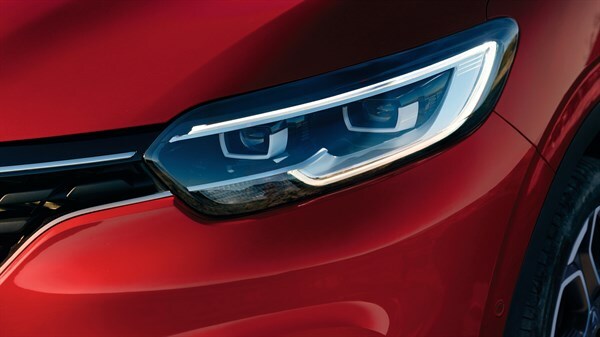 With its Halogen headlighsts, serving both as low beam and high beam, Renault KADJAR offers you a powerful lighting. 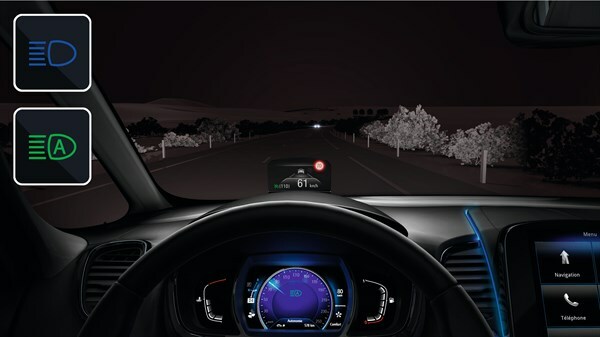 This technology gives your vehicle more intense and precise lights to improve your night vision, comfort and safety. 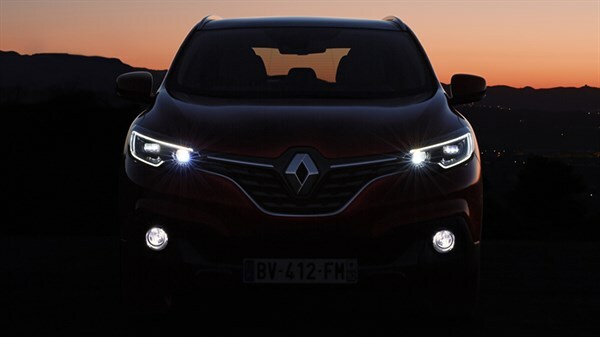 At night, Renault KADJAR adapts your lights to the presence of other vehicles. It automatically switches from high beam to low beam and vice versa . 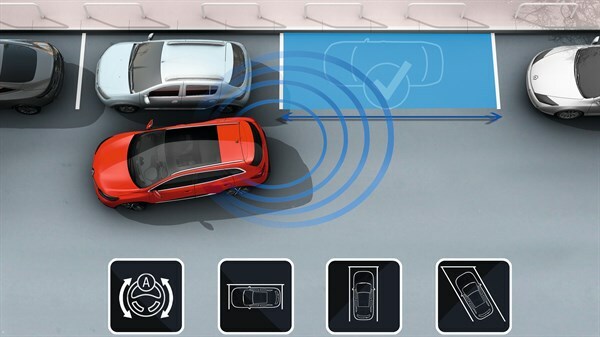 When a risk of collision with the vehicle in front of you is detected, an audible warning warns you. 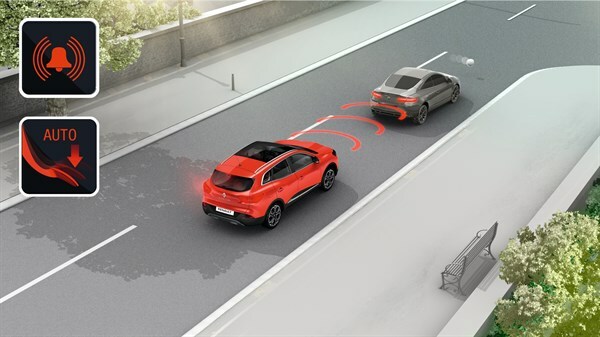 If you do not respond, the active emergency braking system engages to prevent or mitigate the collision. If a vehicle engages in your blind spot area, you are also alerted by a light signal in your exterior mirrors. At speeds of over 70 km/h, this system warns you if the vehicle unintentionally crosses a continuous or broken lane marking. 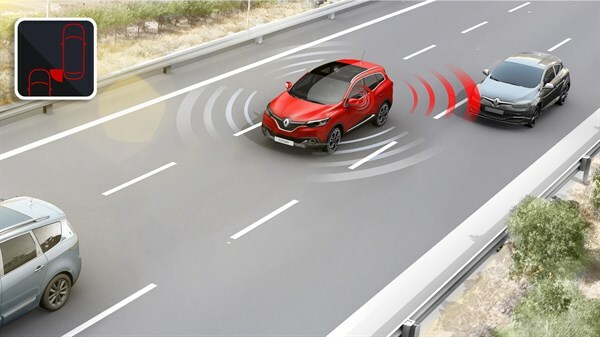 Because we never know where the danger comes from, Renault KADJAR anticipates it. Our security experts have everything planned: 6 airbags (front, side head / thorax, curtains), pretensioner seatbelts, load limiter and anti-whiplash headrests. 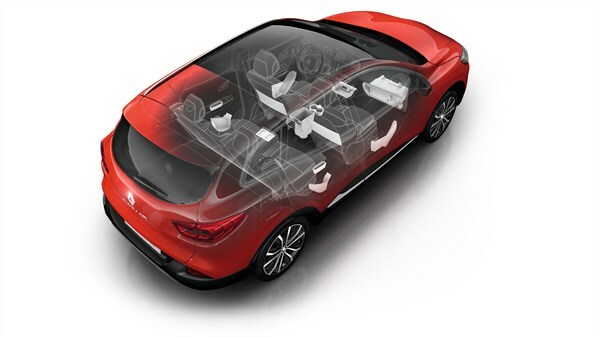 For the protection of children, Renault KADJAR also has 2 Isofix bindings, a system recommended by the Road Safety Association to reduce the risk of improper installat ion.